CD183, also called CXCR3, is a 41kDa transmembrane G protein-coupled CXC receptor, belonging to the family of chemokine receptors. It has selectivity for IP10, Mig and I-TAC chemokines. Cellular production of CD183 ligands is induced by interferon, suggesting an important role of CD183 in Th1-type inflammatory processes. CD183 signaling induces chemotactic migration in inflammation-associated effector T cells, involving integrin activation and cytoskeletal changes. 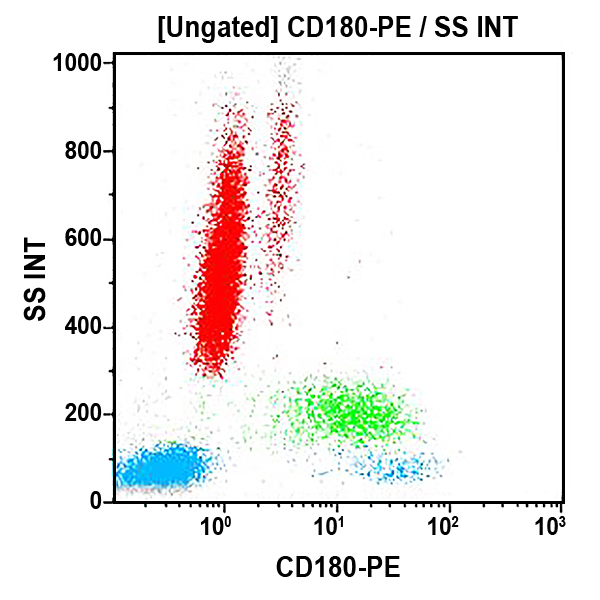 CD183 is expressed on T cells (Th1), NK cells, dendritic cells, mast cells, eosinophils. *Alexa Fluor and Pacific Blue are registered trademarks of Molecular Probes, Inc.